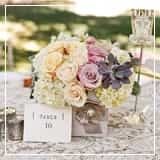 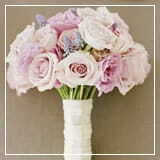 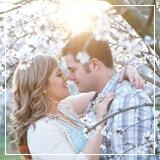 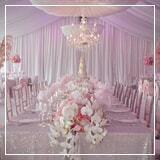 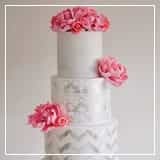 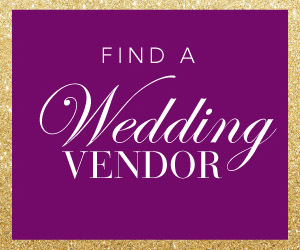 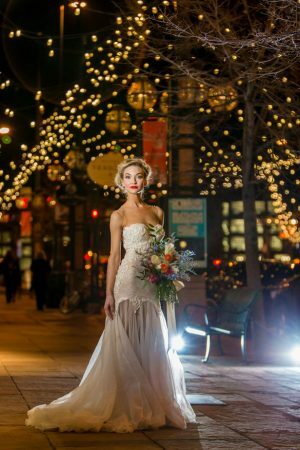 Talents taken to a new venue calls for the most magnificent of styled shoots! 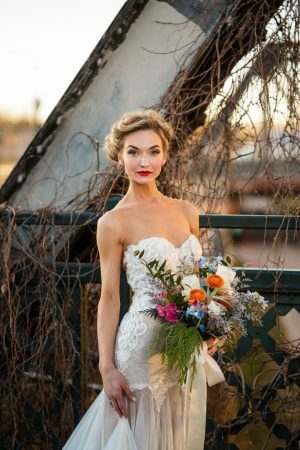 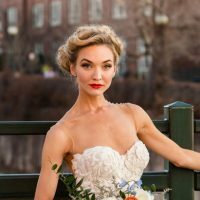 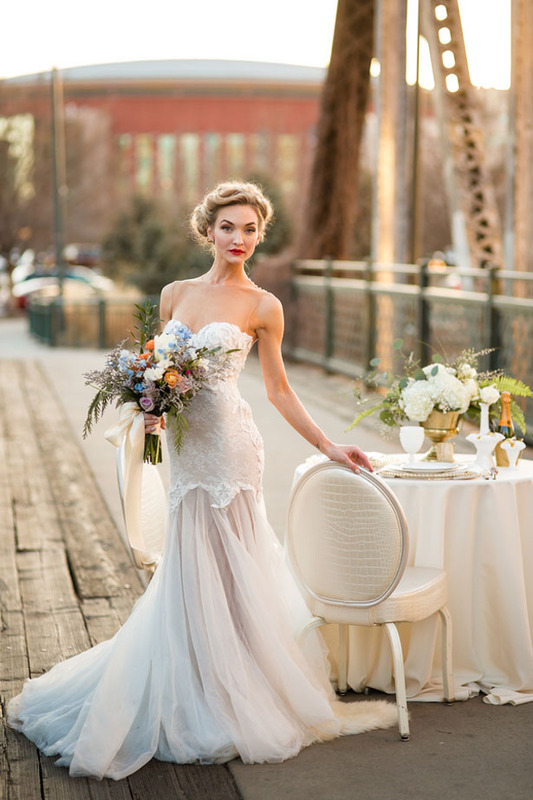 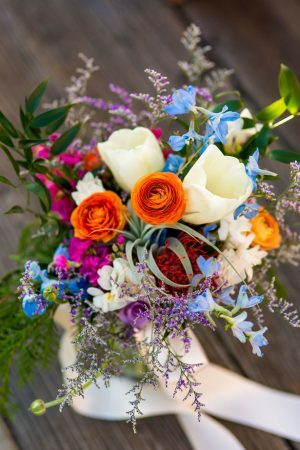 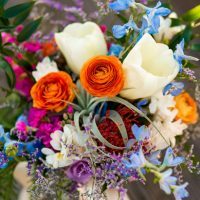 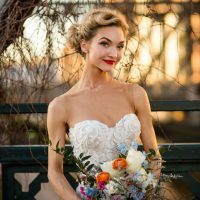 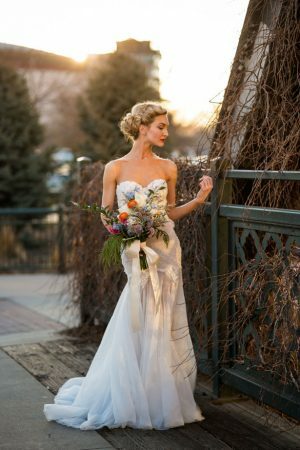 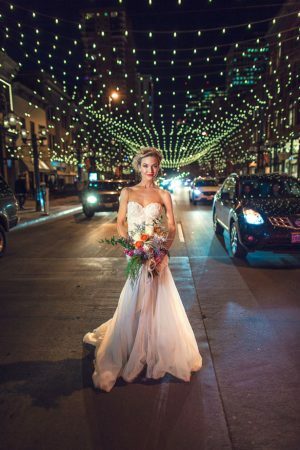 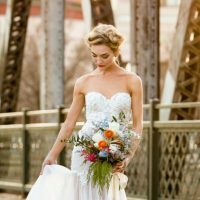 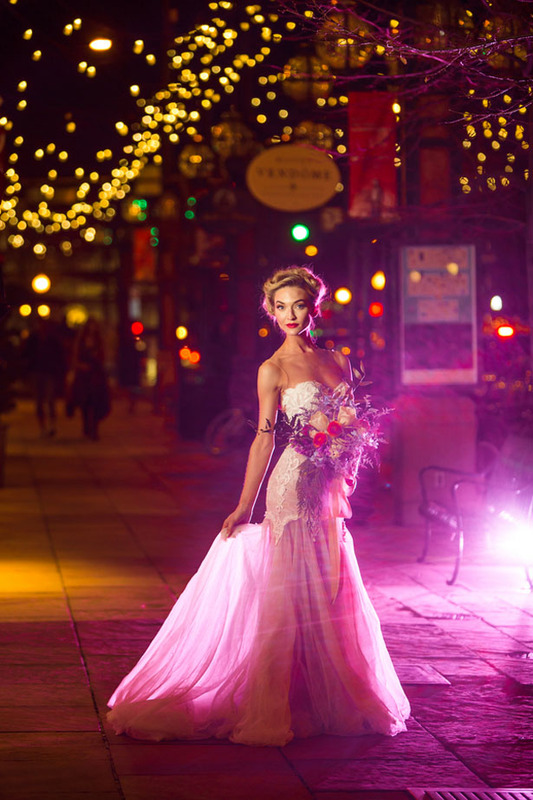 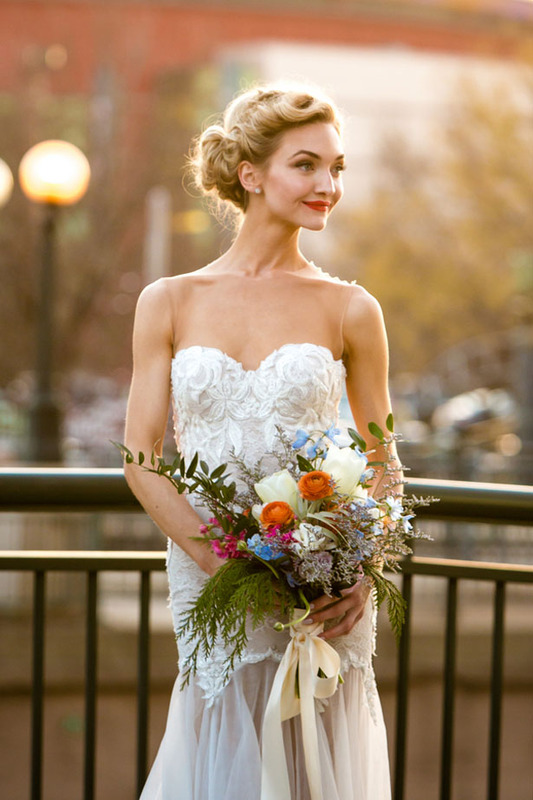 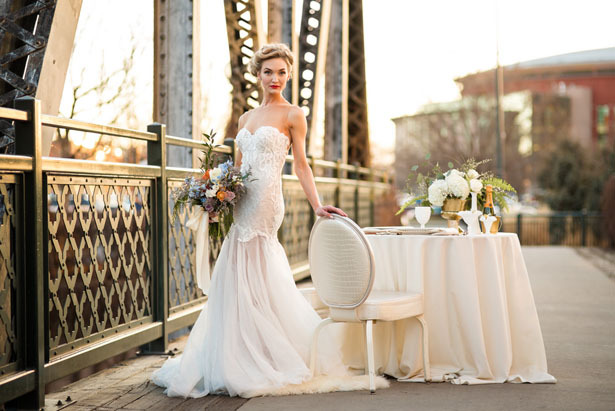 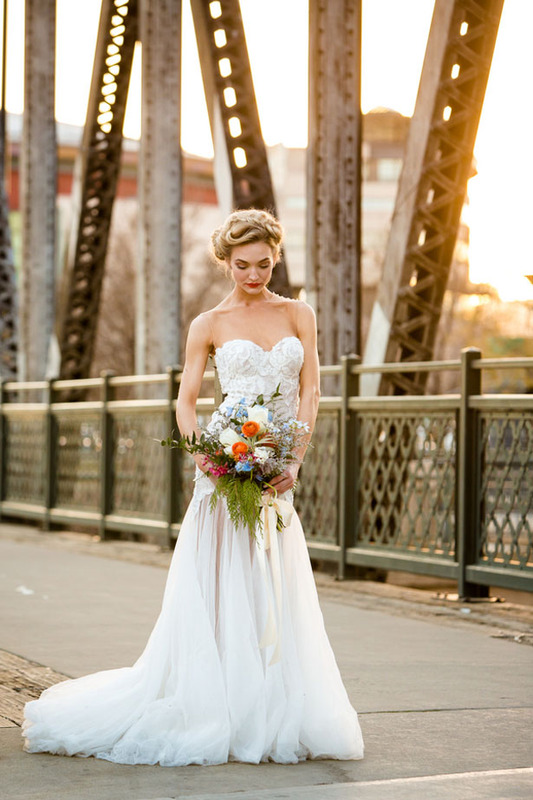 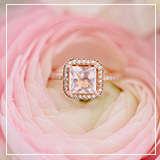 Riki Dalal called upon the uber talented Kristopher Lindsay Photography to help market their dress line in the wonderfully gorgeous Colorado region- and oh, are we glad they did! 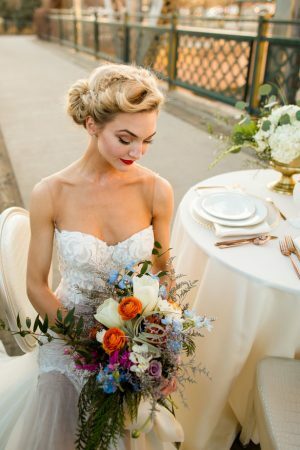 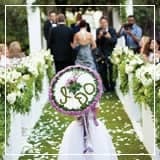 Not only was the ultra fabulous decor up to par with the florals and scenery, but help us lift our jaws off the ground with that dress! 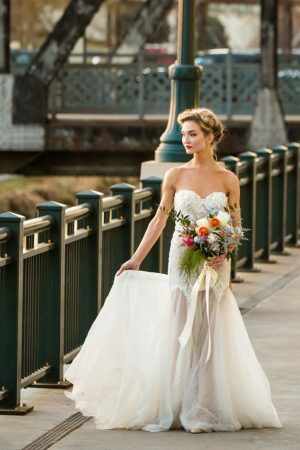 A luxurious lace sweetheart neckline and glamorously sheer skirt give us enough to swoon without that plunging back shaking us to the core! The sheer fabric toys with our emotions adding an extra touch of decadence on the shoulder. 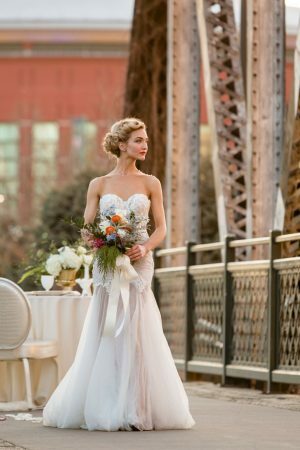 We are absolutely in awe of the beauty this gown delivers! 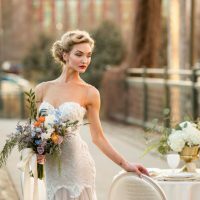 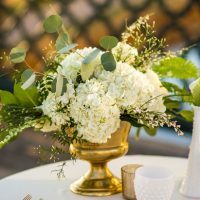 With the wonderful backgrounds and different lighting captured in the images, the FULL GALLERY gives us a good glimpse of perfection.